LITTLE ROCK--The Arkansas Hospital Association's 87th Annual Meeting/Trade Show in October included a presentation from Gov. Asa Hutchison regarding support for repealing and replacing the Affordable Care Act, and his application for a waiver to change the way Medicaid is administered in Arkansas. Participants also heard a presentation from Patricia M. Boozang, senior managing director, Manatt Health, New York, with cautions about how proposed changes in to Medicaid in recent repeal and replace proposals could adversely impact hospitals and other healthcare providers. "I think the legislative effort related to the overall repeal and replacement of the Affordable Care Act (ACA) is stalled for the moment," Boozang said. "There is a market stabilization legislative effort that is underway, but that is pretty narrowly focused on a couple of individual market related issues in the ACA and doesn't directly impact Medicaid. But I think we are likely to see some proposals to reduce federal Medicaid funding to states re-emerge somewhere down the line, whether 2018 or later." One proposal that had been part of prior repeal and replace proposals is to cap federal Medicaid funding to the states. Boozang said that would shift the spending risk for the program to the state. "The state, in turn, has to respond to that," she said. "The way all states would respond would be to make cuts to the program, which could include cuts to eligibility which flow down to hospitals in the form of more uncompensated care, or cuts to provider reimbursements. These proposals to cap federal Medicaid funding for states create new risks and challenges for healthcare providers and for consumers." Boozang said while in the pause period where there is no active proposal to cap federal Medicaid funding to the states, it is incumbent on states and stakeholders in the program to understand what those proposals would mean for the states. "It is important for states and consumers to do the data analysis based on what we expect these proposals to look like, and have an open discussion about the potential impact to coverage and healthcare in the state," she said. Hutchinson said he has consistently opposed any change that would shift the cost of Medicaid onto the states. He did support the Graham-Cassidy bill, which failed to get enough votes to be adopted. He said the block grants that were the foundation of that bill would have allowed Arkansas to design its own healthcare initiatives in a way that would best cover and protect Arkansans. 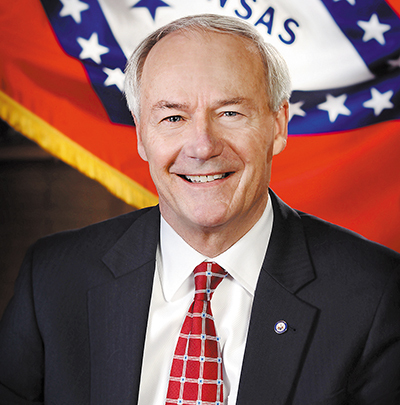 Hutchinson has repeatedly said reforms are needed because Medicaid is not sustainable in any state, including Arkansas. He said Graham-Cassidy would have put federal spending on a realistic, manageable and achievable budget. "This sort of discipline is long overdue in Washington and the states must be a partner in making our healthcare programs more sustainable," Hutchinson said. Boozang said even without a replacement for the Affordable Care Act, another important dynamic is there is a lot the current administration can do administratively. States, including Arkansas, have submitted waiver proposals to the Trump administration even in advance of any changes happening in Congress. Arkansas and other states have waiver proposals before the administration. Boozang said that is the vehicle the state is using to try to tailor the Medicaid program the way the governor and policymakers think appropriate. "This is a trend you see nationally," she said. Despite the failure of Graham-Cassidy--and regardless of the constraints of the current system--Hutchinson said he remains committed to the state's ongoing reform efforts in Arkansas Works and traditional Medicaid, and will continue to focus on creating a more efficient, sustainable system of healthcare in the Natural State for future generations. Pres. Donald Trump expressed disappointment at the failure of the Graham-Cassidy bill and said continuation of the ACA amounts to a massive bailout for insurance companies. Others don't see it that way. Boozang said what he is talking about is the cost sharing provision required under ACA to help low income people purchase insurance who might otherwise have trouble accessing care due to being unable to meet deductibles or cost sharing. "This is something that was required by the ACA to lower costs for low-income consumers," she said. "I don't think of it as a bailout, but a payment for something insurance companies are required to do under the statute." The ACA has been in the cross hairs of Republicans since it was adopted in 2010. But Boozang said a lot of data from Arkansas and other states, as well, shows that the ACA actually has been really crucial for the bottom line of hospitals in terms of reducing the amount of uncompensated care. "It makes them more fiscally stable, and helps them serve an insured population instead of uninsured population," she said. "That has been especially critical for rural hospitals. And there is a growing body of evidence of how critical the rural hospitals are. ACA makes them more stable. It helps them avoid shutting down services and beds, and has helped them bring jobs and higher-than-average salaries to their communities. It has really bolstered the stability of rural hospitals." Boozang expects that proposals to cap funding will re-emerge that would introduce new risks and challenges to state Medicaid programs. Medicaid is the biggest source of federal funding flowing into Arkansas, as in many states, so there are real budget concerns from reducing funding to states. While new federal legislation is paused, Boozang expects the pace of administrative actions on Medicaid will accelerate in the form of 1115 waivers, 1332 waivers, regulations/guidance and other activity. Under Section 1115 of the Social Security Act, the Secretary of Health and Human Services has broad--but not unlimited--authority to approve a state's requests to waive compliance with certain provisions of federal Medicaid law. Hutchison has proposed an amendment to its Arkansas Works 1115 Medicaid demonstration projects that would limit eligibility to less than or equal to 100 percent of the federal poverty level, establish a work requirement, eliminate the employer-sponsored insurance premium assistant program and eliminate conditions associated with the waiver of retroactive eligibility. That proposal would remove an estimated 60,000 people in Arkansas from Medicaid. While they would be allowed to move to subsidized Affordable Care Act marketplaces or employer-sponsored plans, it's uncertain how many might be able to afford high-cost plans.